I’ll be honest, I’ve never heard of Erich Bitter or his tuning company of the same name. 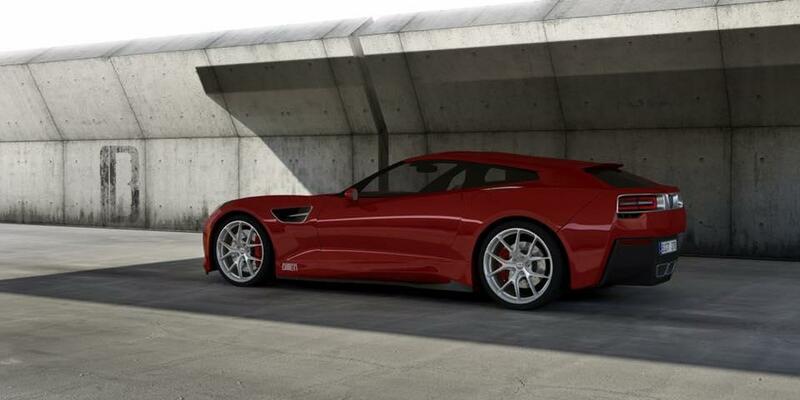 However, that doesn’t make me any less excited for what the German auto firm is planning—a Corvette Shooting Brake. According to AutoClassics, the company, still operated by 85-year-old Erich, is looking to produce its first new model since 2012 when production ceased on an upgraded Holden Caprice saloon. You see, the shooting brake is a body style that made Bitter famous in the early 1970s thanks to the Bitter CD, a shooting brake version of the Opel Diplomat. What’s interesting about that car, which debuted as a 1973 model, was the Chevrolet V8 engine under the hood. The new Chevrolet Corvette Shooting Brake is a bit of a return to form for Bitter. The company will produce just 20 examples, sadly. However, even though the company has a history working with General Motors and its European brands, there have been projects that have failed to pass the concept phase. This happened in 2002 with the Bitter CD2. The company plans to reveal the new car at the 2020 Geneva Motor Show. The company has yet to release any technical specifications for the car. The company is converting Chevrolet Corvette coupes that have a zero-to-60 time of 4.2 seconds and a top speed of 180 miles per hour. That’s plenty fast, and it’s unlikely the added weight from the conversion would significantly hinder performance. This could be Bitter’s fastest project ever. The company already has two orders for the final product. Erich Bitter has a fascinating history with Opel dating back when he annoyingly kept Porsche 911s firmly in the rear-view mirror of the Opel Rekord he was racing. The media was so impressed they gave the name “taxi” to the Opel. Bitter then managed to get moonlighting Opel employees to design the Bitter CD including the necessary manufacturing engineering. Baur built the bodies using the Diplomat chassis and drive-train components. Unfortunately this appealing package arrived just as the first oil crisis erupted. Very few people have managed to penetrate the GM fortress and come out with small run custom cars in the manner Erich achieved. I love it! Sadly, only 20 will be built. gm should’ve offered this. it would’ve injected some real excitement and cool into the brand. corvette offers trims that mostly differ in aero treatments and engines. unless you are a fan, most people won’t even notice. but something like this needs no explanation. How does one stay informed of the project? Never heard of the company until The Goldbergs got one!